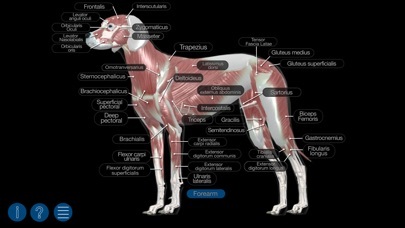 An interactive visual reference with over 300 anatomical structures. Rotate the model, cut down through layers, or zoom in. 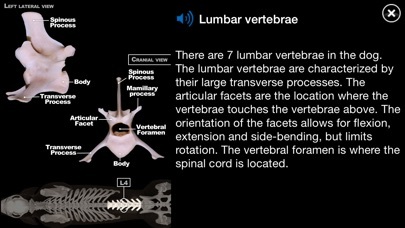 Tap the labels to get details of each structure with audio pronunciation, text descriptions and a close-up view. 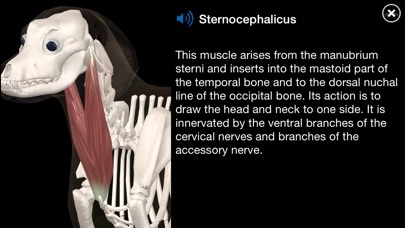 This app covers the superficial landmarks, superficial and deep muscles, bones, and organs. 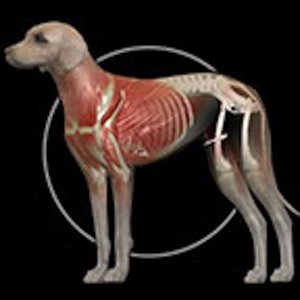 Quiz yourself on each section, make your own quiz, or have the app quiz you on just what you missed. 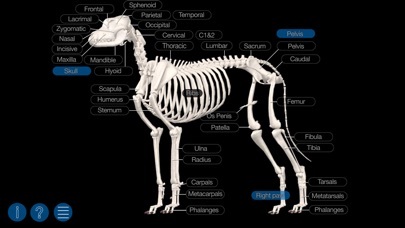 If you want to understand canine anatomy, this app is for you.